Daily Manna Today 22 September 2018 – TOPIC: WHEN “GRACE” COULD NOT SAVE HIM! 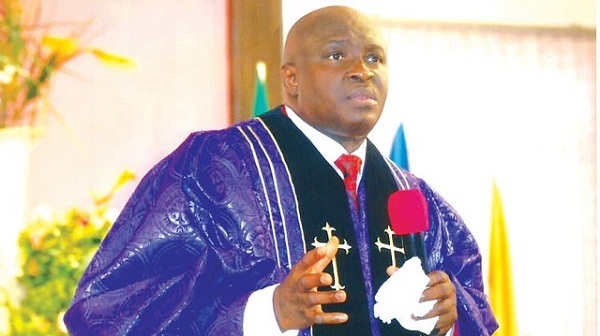 TOPIC: WHEN “GRACE” COULD NOT SAVE HIM! Three weeks after the 93 year-old ruler was forced to relinquish power and as the dust settled after a dramatic transition that saw Mnangagwa taking over from his mentor, questions are now being read the writing on the wall when on November 15, 2017,the Zimbabwe Defence Forces announced that they had taken over government and eventually squeezed the Zanu PF leader out of power. Grace was defiant to the end after pushing for Mnangagwa’s dismissal as Vice-President, a move that seemed to infuriate the military. Mugabe told a South African delegation sent by former President Jacob Zuma, to mediate between the former president and the generals because he never expected the military to turn against him after giving them land. Although the former typist (Mrs. GRACE Mugabe)enjoyed the backing of a Zanu PF faction known as G40, she could not save him, Mr Mugabe! So, as a writer, I noted that GRACE COULD NOT SAVE MUGABE! But the Holy Ghost wants you to know that unlike MUGABE’s GRACE, your daily race on planet earth can only be guaranteed by GRACE! GRACE is unmerited favour! GRACE is when what you don’t qualify for, locates your address! GRACE is MERCY in ACTION! GRACE is the ability to reach levels that your education, human connections, struggles and even prayers cannot get you to! GRACE is when your superiors bow to you! GRACE is when just a sling paralyzes a giant! 2 Cor 12:9 is clear: “And He said unto me, ‘My grace is sufficient for thee…” GRACE IS ENOUGH and SUFFICIENT! When God shows you GRACE, He has shown you cars, good health, uncommon promotion, marital settlement, financial freedom, victory in battles, etc. TODAY IS LAGOS SEPTEMBER ANOINTING SERVICE AT LEKKI, 8.00am. THEME: THE SIEGE IS OVER! UNCOMMON SECRETS OF MONEY, BREAKING FINANCIAL BLOCKADES AND SEDUCING/ ENTICING MONEY! VENUE: Oando or Chisco B/stop, Besides Oando Filling Station, 4th Roundabout! 2. Father, I decree: Every blockade must SCATTER! Daily Manna Today 22 September 2018 – TOPIC: WHEN “GRACE” COULD NOT SAVE HIM! 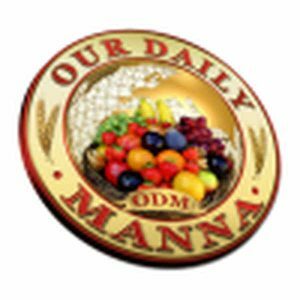 Next Post:Our Daily Manna 23 September 2018 – TOPIC: POWER TO….NO GIFTS FOR SHOW!